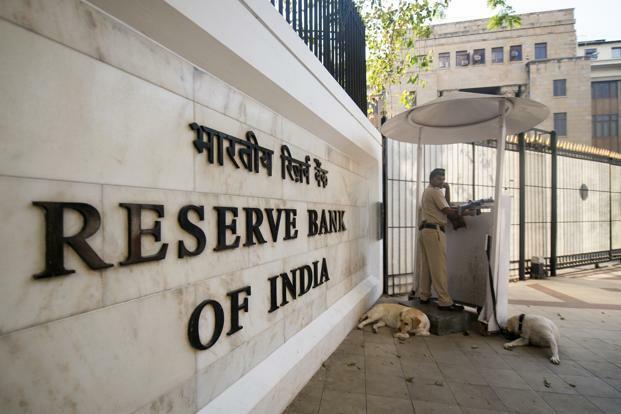 Mumbai: The Reserve Bank of India (RBI) on Thursday said it would cap banks’ exposure to a group of connected companies at 25% of the lenders’ core capital, seeking to reduce concentration risk in a banking industry laden with bad loans. The central bank lowered the limit from 40% of the banks’s total capital funds, which include both Tier 1 (core) and Tier 2 capital, and gave banks until 2019 to meet the new norm. In the case of an individual company, this limit would be changed to 20% of Tier 1 capital, compared with 15% of total capital funds currently, RBI said in a statement. Tier 1 capital is the core measure of a bank’s financial strength, and consists mainly of common stock and disclosed reserves (or retained earnings). Tier 2 capital is composed of revaluation reserves, undisclosed reserves and hybrid instrument, among others. The new limits will be applicable starting 1 April 2019, the RBI said. They follow a set of draft guidelines which the banking regulator had unveiled in August. “All aspects of the LE (large exposure) Framework must be implemented in full by March 31, 2019 and the extant exposure norms applicable to single/group of connected counterparties will no longer be applicable from that date. Banks must gradually adjust their exposures so as to comply with the LE limit with respect to their eligible capital base by that date,” RBI said, adding that any exposure, whether on balance sheet or off balance sheet, which is at or over 10% of a bank’s Tier 1 capital, will be considered a large exposure. Under the guidelines, a connected group of counterparties or companies is considered to be a set-up where the collapse of one company may lead to the collapse of all related companies, or where one company holds more than 50% of the voting rights in the other company. Regulations under this framework will be required to be implemented at the individual bank level as well as the entire banking group level. This means that while calculating large exposures, banks will have to consider exposures in their overseas operations through branches and subsidiaries. The interbank exposure, except intraday interbank exposure, will be subject to the large exposure limit of 25% of a bank’s Tier 1 capital, RBI said. In stressed circumstances, RBI may accept a breach of an interbank limit ex-post, in order to help ensure stability in the interbank market, the central bank added. Banks’ exposure to a single non-banking financial company (NBFC) will be restricted to 15% of their eligible capital base. Based on the risk perception, more stringent exposure limits in respect of certain categories of NBFCs may be considered. Banks’ exposure to a group of connected NBFCs or groups of connected counterparties having NBFCs in the group will be restricted to 25% of their Tier I capital. “The intention of the central bank is clear, that it is not keen with banks carrying large exposures on their books after the stressed asset problems that have emerged in the last few years,” said Saswata Guha, director, Fitch Ratings, referring to the estimated Rs6.3 trillion of stressed assets that have piled up in the banking industry. “This will also help in giving the corporate bond market a fillip… At least a certain part of the long term credit market can then move to the corporate bond market,” Guha added. In August, RBI had proposed hard exposure limits for banks. As part of the draft guidelines, exposure to large companies which exceeded a certain amount would attract higher provisioning by banks, hitting their profitability. However, these hard limits are not discussed in the latest framework RBI has released.